Welcome to Deal Law Firm, LLC. 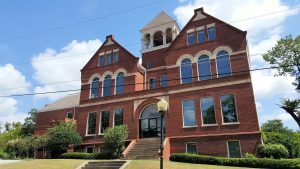 Practicing Criminal Defense, Juvenile Defense and Family Law in Middle Georgia. At the Deal Law Firm, we believe that your rights are worth fighting for. The law firm you choose will impact your life -- and your family's future -- long after your case is closed. You shouldn't settle for just any firm. Whether you are facing criminal charges, or a divorce or child custody action, you deserve a non-judgmental counselor who will take the time to listen to your needs and address your concerns. You need an experienced professional to help you understand your options. You should expect a competent trial lawyer who knows how to prepare your case thoroughly and present your case with confidence in court. At every step along the way, you will want the reassurance of an attorney who will return your calls and respond to your messages. The Deal Law Firm is dedicated to providing your family the legal services that we would want for our family. Managing attorney Lauren Deal offers nonjudgmental legal counseling, client education, confident trial presentation, and reliable client communication. Before you make a choice that will impact your rights, contact Deal Law Firm. You can call us at (478) 254-9154 for a consultation, or message us directly from this site.